For maximum impact in documents, Pages creations and presentations, a few photos can drive the message home. When working on the desktop, we have libraries available on the HD. As we turn to creating new work on the iPad from the start more often, we need to find new ways of getting to the needed bits and pieces. 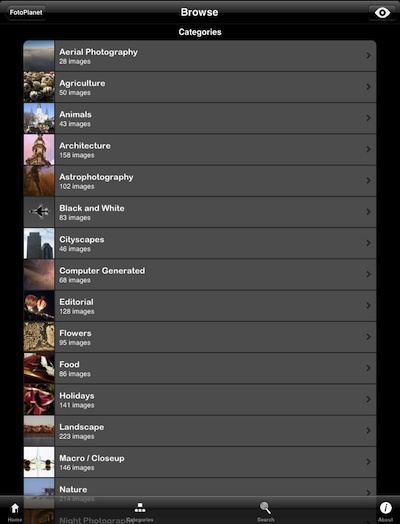 Late last week we discovered an app, FotoPlanet, that gives us access to ‘free to use’ Creative Commons photos. The app it’s self is less than a dollar but beyond that, there is no ongoing fees to use for finding/downloading images directly with the iPad. 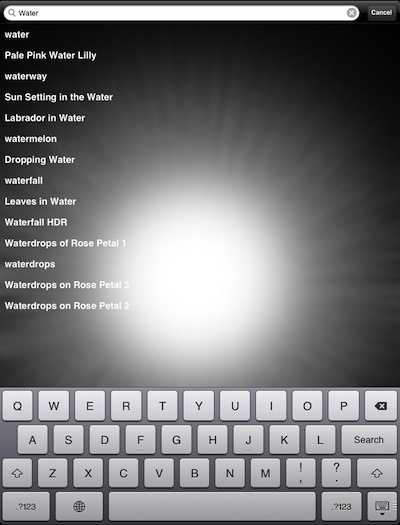 Images can be searched for in FotoPlanet via keywords. A list of photos on that subject builds as you enter your words. 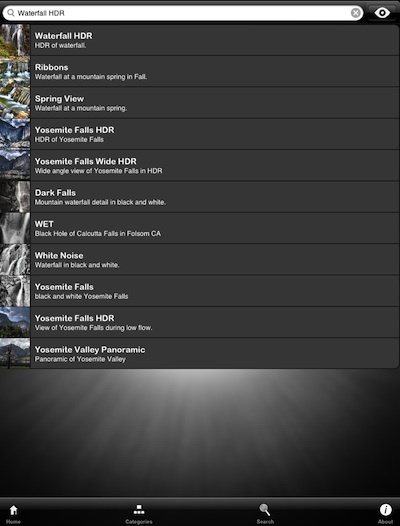 Choosing one from the list provides thumbnails and brief descriptions of the photos FotoPlanet found. Choose one to drill down the the actual photo. When viewing an image, more info can be found the the ‘About’ button. When you have a image you can use, downloading to the iPad is as simple as choosing the folder icon in the lower left corner. Downloads through FotoPlanet can be made in three sizes, the below example had ‘Small 615K, Medium 1934K and Large 15M. Remember, you can’t create a product to sell with Creative Commons images, but you can use them in your documents/presentations. 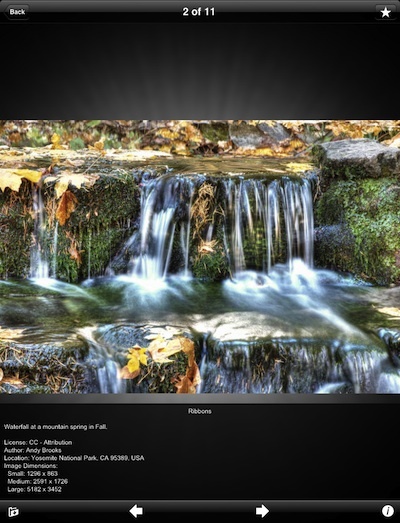 The opening page of FotoPlanet provides photos you can sweep through in groupings of Featured, Most Recent and Top Rated. Just looking for ideas to get a project stated? 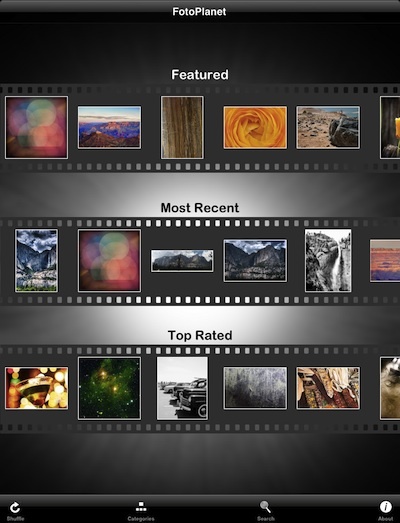 FotoPlanet offers a list of photo categories that you can choose and browse through.